Most people want a solution for their raccoon issues that doesn’t involve harm to the animal. However, many homeowners become so fed up with the problems they cause, that they want the raccoons gone no matter what method is used, including extermination. While raccoons can push even the most patient people past their limits, extermination is not always the best option. Killing one raccoon will not keep others from coming on to your property or into your home unless other necessary factors are addressed. Raccoons will always seek out homes with available food sources, so the best way to deter them is with prevention. Take the following measures to keep your home and yard as safe as possible. At Critter Control® of Orlando, we pride ourselves on removing all kinds of wildlife in the most humane and safest way possible with extermination being our last resort. 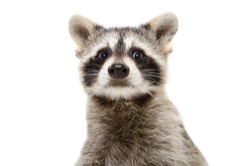 If you’re having raccoon issues you can’t seem to get or keep under control, let our trained technicians come out to complete a thorough inspection of your home and property. We will come up with a personalized plan to get rid of the raccoons for good. For more information on how we can help give you and your family peace of mind, contact us today for a free estimate by calling 407.295.7194.